In this post, we’ll look at MySQL CDC, streaming binary logs and asynchronous triggers. What is Change Data Capture and why do we need it? One of the first implementations of CDC for MySQL was the FlexCDC project by Justin Swanhart. Nowadays, there are a lot of CDC implementations (see mysql-cdc-projects wiki for a long list). CDC can be implemented for various tasks such as auditing, copying data to another system or processing (and reacting to) events. In this blog post, I will demonstrate how to use a CDC approach to stream MySQL binary logs, process events and save it (stream to) another MySQL instance (or MongoDB). In addition, I will show how to implement asynchronous triggers by streaming binary logs. Starting with MySQL 5.6, mysqlbinlog can also read the binary log events from a remote master (“fake” replication slave). ROW-based replication is probably the easiest way to get the RAW changes, otherwise we will have to parse SQL. At the same time, ROW-based replication binary logs don’t contain the table metadata, i.e. it does not record the field names, only field number (as in the example above “@1” is the first field in table “a”). We will need to somehow record and store the binary log positions so that the tool can be restarted at any time and proceed from the last position (like a MySQL replication slave). Maxwell’s daemon (Maxwell = Mysql + Kafka), an application recently released by Zendesk, reads MySQL binlogs and writes row updates as JSON (it can write to Kafka, which is its primary goal, but can also write to stdout and can be extended for other purposes). Maxwell stores the metadata about MySQL tables and binary log events (and other metadata) inside MySQL, so it solves the potential issues from the above list. As we can see in this example, Maxwell get the events from MySQL replication stream and outputs it into stdout (if we change the producer, it can save it to Apache Kafka). In the above example, we only recorded the binary log events. Now we can add “reactions”. One of the practical applications is re-implementing MySQL triggers to something more performant. MySQL triggers are executed for each row, and are synchronous (the query will not return until the trigger event finishes). This was known to cause poor performance, and can significantly slow down bulk operations (i.e., “load data infile” or “insert into … values (…), (…)”). With triggers, MySQL will have to process the “bulk” operations row by row, killing the performance. In addition, when using statement-based replication, triggers on the slave can slow down the replication thread (it is much less relevant nowadays with ROW-based replication and potentially multithreaded slaves). With the ability to read binary logs from MySQL (using Maxwell), we can process the events and re-implement triggers — now in asynchronous mode — without delaying MySQL operations. As Maxwell gives us a JSON document with the “new” and “old” values (with the default option binlog_row_image=FULL, MySQL records the previous values for updates and deletes) we can use it to create triggers. print "INSERT INTO transactions_delete_log VALUES ('" + str(obj["data"]) + "', Now() )"
Maxwell was designed for MySQL 5.6 with ROW-based replication. 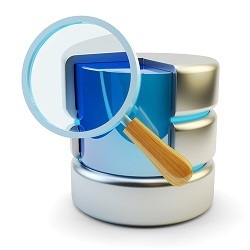 Although it can work with MySQL 5.7, it does not support new MySQL 5.7 data types (i.e., JSON fields). Maxwell does not support GTID, and can’t failover based on GTID (it can parse events with GTID thou). Streaming MySQL binary logs (for example with Maxwell application) can help to implement CDC for auditing and other purposes, and also implement asynchronous triggers (removing the MySQL level triggers can increase MySQL performance). Just a reminder that FlexCDC is pluggable. So you can just write a short little bit of PHP code to do whatever trigger events you want, or even to replicate the changes to another RDBMS. I am getting error as mysqlx module is missing. Please help me with that. I am seeing issue with stream import to mongodb. maxwell seems to be working fine. but with pipe it seems to not tranfering the data. Wed Jul 19 14:45:52 PDT 2017 WARN: Establishing SSL connection without server’s identity verification is not recommended. According to MySQL 5.5.45+, 5.6.26+ and 5.7.6+ requirements SSL connection must be established by default if explicit option isn’t set. For compliance with existing applications not using SSL the verifyServerCertificate property is set to ‘false’. You need either to explicitly disable SSL by setting useSSL=false, or set useSSL=true and provide truststore for server certificate verification. Wed Jul 19 14:45:53 PDT 2017 WARN: Establishing SSL connection without server’s identity verification is not recommended. According to MySQL 5.5.45+, 5.6.26+ and 5.7.6+ requirements SSL connection must be established by default if explicit option isn’t set. For compliance with existing applications not using SSL the verifyServerCertificate property is set to ‘false’. You need either to explicitly disable SSL by setting useSSL=false, or set useSSL=true and provide truststore for server certificate verification. @Alexander Rubin, Can you please suggest on my last message ?